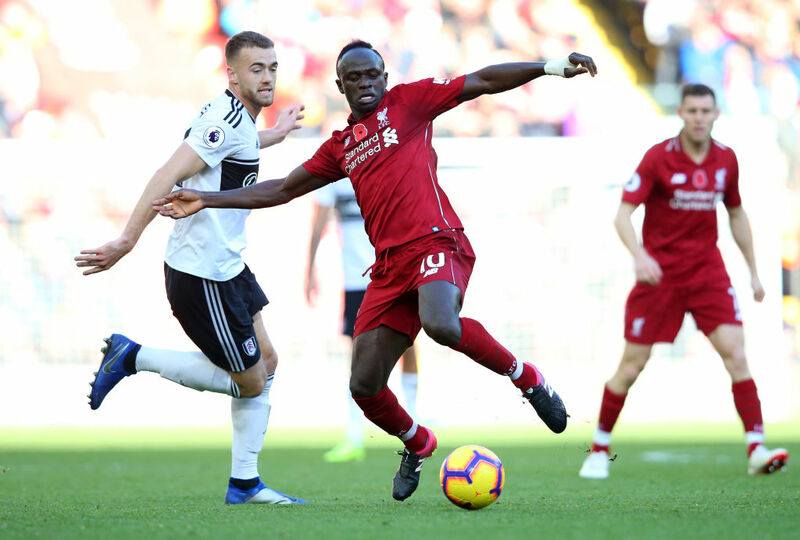 Liverpool returned to the top of the Premier League table — temporarily at least — with a 2-0 win at home to basement club Fulham at Anfield on Sunday. Jurgen Klopp’s side continued their unbeaten start to the Premier League season as Mohamed Salah’s eighth goal this term and a second from the recalled Xherdan Shaqiri helped them equal their best start to a campaign. Fulham captain Tom Cairney’s curling cross was headed home by Serbian striker Aleksandar Mitrovic but the linesman’s flag was up for offside. Liverpool goalkeeper Alisson quickly passed the ball to Trent Alexander-Arnold whose perfect pass released Salah to put the ball in the Fulham net seconds after the visitors’ thought they had taken the lead. 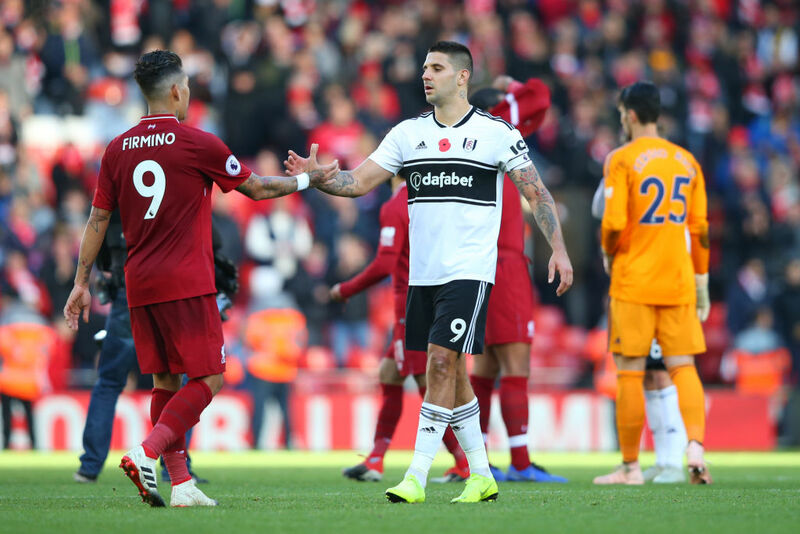 Fulham’s sense of injustice will only have been heightened when replays suggested Mitrovic’s effort could well have been allowed to stand, with the London club seemingly on the wrong end of the kind of decision that so often goes against teams at the bottom of the table. After an impeccably-observed minute’s silence to mark the centenary of the Armistice in World War I, it was Liverpool who started the stronger. Alexander-Arnold’s low cross eventually found Sadio Mane and he should have done better with a shot which drifted well wide. Liverpool continued to press, with Fabinho’s fine diagonal headed over by Alexander-Arnold, while Salah’s powerful drive from a narrow angle was turned away by Rico. Indeed a rare mistake from Joe Gomez presented Fulham with the game’s best chance midway through the half. The England defender failed to deal with Mitrovic’s header, allowing Ryan Sessegnon to close in on goal but he somehow pulled his shot wide with only Alisson to beat. 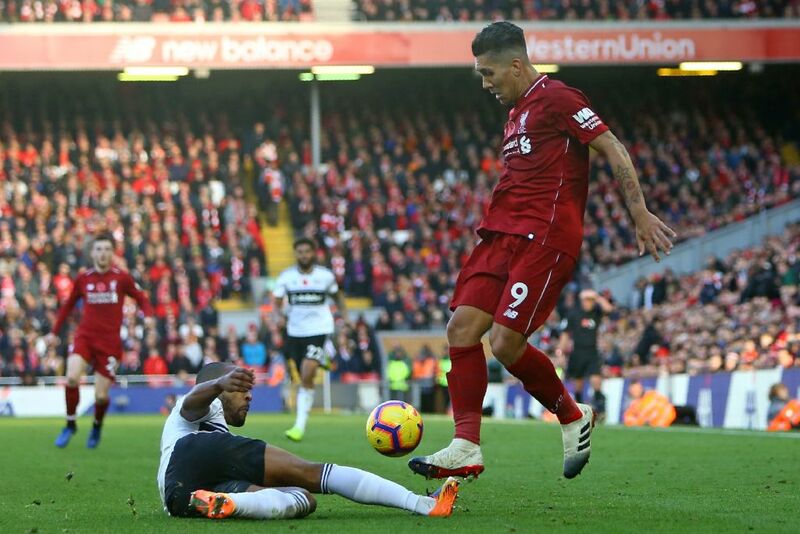 Fulham were encouraged and a few minutes later Andre Schurrle’s drive was spilled by Alisson, with a timely intervention by Virgil van Dijk required to clear the danger. But Salah’s opener allowed Liverpool to gain control and they underlined their dominance eight minutes into the second half when a short corner routine saw Andy Robertson’s curling cross find an unmarked Shaqiri, who scored with a fine volley. This defeat was Fulham’s seventh successive loss in all competitions and sixth in a row in the league. And while their performance at Anfield was far better than last week’s showing at Huddersfield, this result will do little to ease the pressure on manager Slavisa Jokanovic.